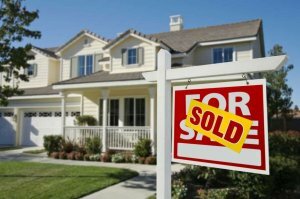 Would you like to sell your Fort Worth home? Don’t want to deal with the hassle or expense of hiring an agent? There is another way! Happy Buy Homes is prepared to give you a cash offer for your house in Fort Worth, Dallas, and surrounding cities. If you are ready to sell, we are ready to buy! Whether your home is move-in ready or in need of repairs, we can give you a fair offer and close in as little as 7 days. Let us take that extra weight off your shoulders by allowing us to buy your DFW home, no matter the condition. Getting a divorce? Moving? Liens? Upside down in your mortgage? It doesn’t matter whether you live in it, you’re renting it out, it’s vacant, or inhabitable. We help owners who have inherited an unwanted Fort Worth property, own a vacant house, are behind on payments, owe liens, downsized or can’t sell… even if the house needs repairs that you can’t pay for. And yes, we will buy from you even if the house has fire damage or bad/unwanted rental tenants. Benefits Of Dealing With Us! retirement, health problems, foreclosure, burdensome rental property, and all kinds of other situations. We buy houses in Texas… including Dallas Fort Worth and surrounding areas and pay a fair cash price, fast. We buy houses Fort Worth especially. If an agent can’t sell your house, we can help. Selling a Fort Worth home through a real estate agent is not the best route for everyone. All that hassle can add unnecessary stress and extra months to the process. You may or may not be satisfied with your decision in the end. You don’t need to spend a dime. Preparing a home to put on the market can be costly. We are ready to buy your DFW home in its current condition. We’ll know very quickly if we can help you. Unlike selling through an agent, you don’t have to wait to see if the buyer can get financing… we’re ready to buy right now! We buy houses Fort Worth and the next one could be yours! ‘Sell My House Fast’ Dallas Forth Worth Is What We Do! Here at Happy Buy Homes, we work a little differently and can help. When you contact us and submit the short property information form (below), we’ll give you a fair all-cash offer on your house within 24 hours. The best part is, we can close whenever YOU choose to close. If you thinking about selling your house fast, then get in touch. You choose the date! It doesn’t matter what the condition of the house is, or even if there are tenants that will not get out. We will buy your Fort Worth house As-Is. We Buy Houses Fort Worth – Let Us Help You. When you want to sell your house, the first thing that crosses your mind is to have it listed with a real estate agent. You shouldn’t always go down that route. There are many hurdles with traditional home selling. You will have to pay agent fees and closing costs. You may also have to pay for cleaning, renovations, and recurrent expenses such as utilities and property taxes. This can take a toll on your finances. When you sell your house to us directly, you will be able to escape all of these costs. Our home-buying process is quick and straightforward. Once we get the necessary information about the property you want to sell, we’ll be good to go. We’ll evaluate the home and give you an offer price. If you accept the offer, we can close in less than a week. We are flexible too. You can choose a more convenient date if a week is too short a timeframe for you. We’ve been buying houses in Fort Worth & other areas across Dallas Texas for years and have successfully made hundreds of transactions. We have a team of knowledgeable and friendly home buying specialists who will help educate you and guide you on how best to sell your Fort Worth TX house fast, and at a fair price. Facing bankruptcy? Avoiding foreclosure? Changing Jobs? Facing Divorce? Inherited an unwanted property? Defaulted on your mortgage payments? Whatever the reason for selling your home in Fort Worth Texas we can give you a fair all-cash offer and close on it at any time of your convenience. Even if your house has been damaged by fire or storm and you can’t afford to foot the repair costs, just call us. We’ll figure out within 24 hours how we can help you. Our goal is to help you sell your house fast, without the stresses that come with traditional home selling, such as costly repairs, months of waiting, and exorbitant broker fees. Fort Worth Cash House Buyers! 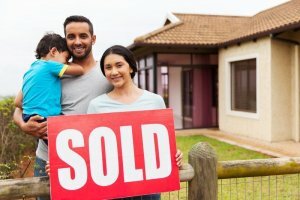 We buy houses in Dallas TX in their exact condition. You don’t have to make repairs or pay for cleanup services. We do everything for you. Moreover, there are no real estate agent commissions or closing fees. So, when searching for a company in Dallas that offers cash for homes, we’re the frontrunners on the market. We buy houses in Fort Worth, Dallas TX (DFW) and all surrounding areas in Texas. If you need to sell your house fast, connect with us… we’d love to make you a fair no-obligation no-hassle offer. Take it or leave it. You’ve got nothing to lose! Would An Investor Buy My House In Fort Worth For Close To Asking Price?